Hostel is a place where a student looks forward to be after a hard day at the college. 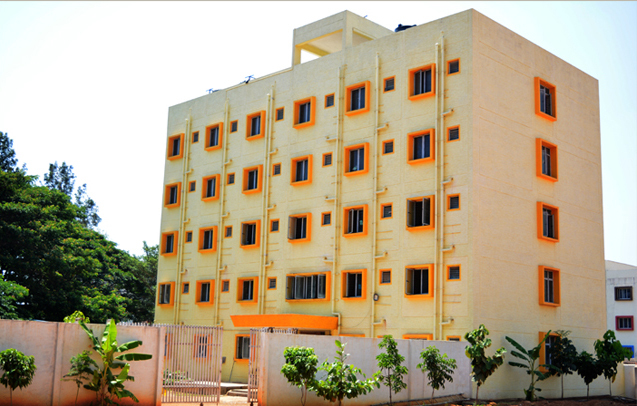 EWCE provides in-campus comfortable and well hygienic hostel accommodation separately for boys and girls. We have been trying to make the hostel the next best place to be in after home. The warden manages the hostel and handles any issues that may arise in the normal functioning. Technically trained & experienced staffs look after the hostel maintenance. For all hostel students who come from different strata of the country having diverse tastes, the menu is planned as a mix of both North Indian and South Indian food with variety each day. Concentration is laid on hygiene, quality and cleanliness of the food which is prepared in the hostel’s kitchen monitored & prepared by experienced and skilled cooks. This unit constructed in 2015 to accommodate 200 boys has a plinth area of 1450 sq. ft. comprising of basement, ground and three upper floors. All rooms are on twin sharing basis. Basement is meant for vehicle parking. Each floor consists of two wings and in each wing, there are 62 rooms. Each student is provided with a wardrobe, study table, chair, cot and overhead book storing cabinet. solar heaters with 5000 Liters are installed in terrace. Other facilities include reading rooms, TV lounges, visitors lounge, Indoor games. 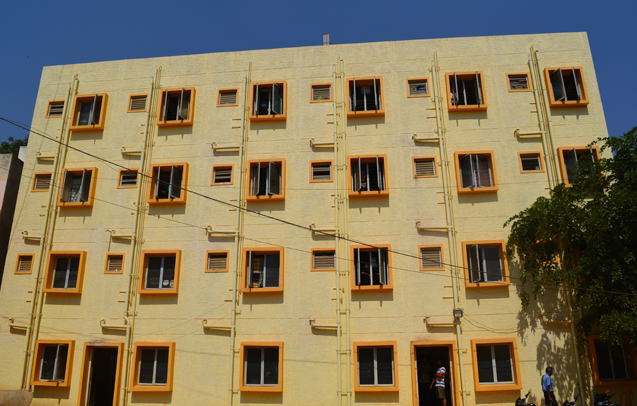 This hostel building was constructed in 2015 exclusively for accommodating 150 girls students with a plinth area of 1250 sq. ft comprising of ground and four upper floors. Three Students are accommodated in each room. Warden’s office, visitors lounge, reading room, dining hall, TV lounge, indoor games are Provided parking for two wheeler's is provided on the eastern side adjacent to the compound wall. There are 47 rooms with 11 rooms in each floor, solar water heater of 3000 liters capacity.